The ongoing improvements in health and safety conditions within the workplace, as an instrument to improve the health and welfare levels of the workforce. The constant and sustained reduction of workplace accidents to such an extent that they are below the average of the sector. Cablescom seeks to become a model for safety and health. 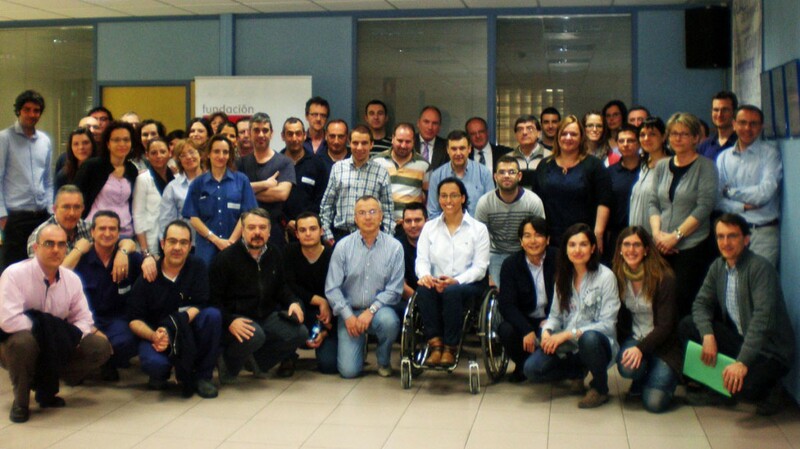 To this end, and with the participation of our employees, we work every day to include prevention and better safety and health conditions not only for our employees, but also for our suppliers, contractors and collaborators. Rescue Sheet, help those who help you. We collaborate with RACC in the diffusion and participation of our employees in this campaign, providing them with this rescue sheet, as well as an identifying sticker. Cooperation with AECC (Spanish Association against Cancer) in the “Solidarity in the Company” project, spreading through the different communication channels existing in Cablescom the information and cancer prevention campaigns developed by the AECC. Collaborative agreements with UNICEF. As a result of this, an important part of the gestures that Cables de Comunicaciones Zaragoza has with its employees are UNICEF products. Cablescom also spreads all UNICEF campaigns and emergence calls. Participation in the Healthy Workplaces European campaign by promoting and advertising the information and materials of the campaign, as well as organising their own activities aimed to all members of the organization. 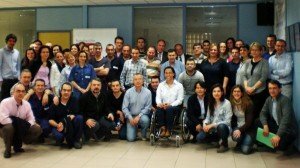 Collaboration Agreement with Caritas Zaragoza within the Incorpora programme of La Caixa to support the recruitment of underprivileged groups with more difficulty to access the labour market. Commitment to equality and non-discrimination within the working environment, being aware of the relevance of the diversity management in a global framework. Accordingly with these values, we have subscribed the Diversity Charter. European Road Safety. Cables de Comunicaciones is involved in this initiative since 2012. We have signed the European Road Safety Charter launched by the European Commission as evidence of our commitment to develop specific actions and share good practices towards road safety in our everyday environments. This charter aims to reduce the number of fatalities. CHOLESTEROL CAMPAIGN • Eating campaigns to raise awareness of the benefits and/or damages of certain foods or dietary habits. HEALTH CAMPAIGN • To resolve doubts about eventual illnesses and encourage awareness about the risks among the employees. DISABILITY AWARENESS CAMPAIGN. 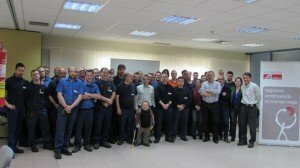 Cablescom in collaboration with the ADECCO foundation aims to promote awareness of the day-to-day of disabled people to all employees. ROAD SAFETY CAMPAIGNS. Road Safety conferences are hosted every year with the participation of all members of the organization.